Breastfeeding is a special time in you and your baby’s life. During pregnancy your body has been getting you ready to breastfeed your newborn baby. While your body is getting you physically ready, you may want to do some preparation in your last trimester to ensure breastfeeding is an enjoyable success. Talking to other nursing moms is a great place to start learning. You can also read books or jump online to find articles that will introduce you to breastfeeding. Consider taking a breastfeeding class (offered by most hospitals) sometime in your last trimester. It is nice to know you have someone to call if you are having trouble. You may have a mom, sister or friend who has successfully breastfed. Ask this person if you can reach out if you need help. You can also ask your healthcare provider for a name and phone number for a lactation consultant or breastfeeding specialist. Don’t be afraid to call and ask questions. These professionals can be very supportive and very helpful. Let your hospital delivery staff and your health care provider know you plan to breastfeed. You will want to begin breastfeeding your newborn within the first hour after birth. Make sure your baby will not receive pacifiers, bottles and supplements of formula, unless needed for medical reasons. · Breast pump may come in handy in your first few days to help your milk production. Some insurance plans will pay for a breast pump, so check with yours. 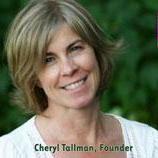 About the author: Cheryl Tallman is the founder of Fresh Baby (www.FreshBaby.com).